ABC Russian: 277 years ago: the Russian city of Petropavlovsk-Kamchatsky was founded. 277 years ago: the Russian city of Petropavlovsk-Kamchatsky was founded. 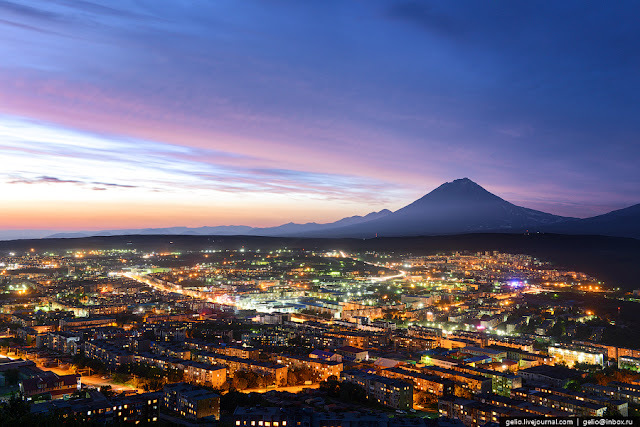 A view of Petropavlovsk-Kamchatsky with the Koryaksky active volcano in the background. It’s one of the oldest settlements in Russia’s Far East. Petropavlovsk-Kamchatsky (6,750 km east from Moscow) was founded on Oct. 17, 1740 by Vitus Bering, a Russian captain, after whom the famous straits that separate Russia and Alaska are named. 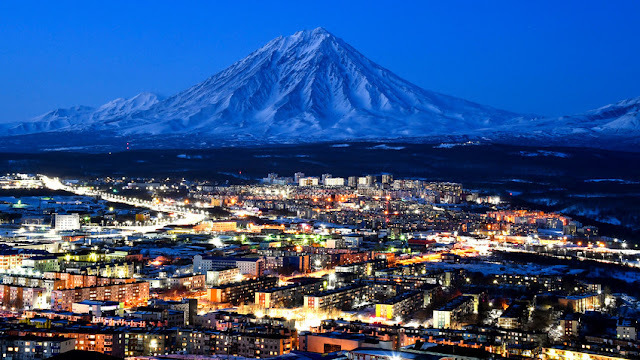 The city is the capital of the Kamchatka Region, famous for its hills and numerous volcanoes. Now this city is a base for the Russian Pacific Fleet. In Soviet times, at 3 p.m. Moscow time, the state radio used to broadcast the correct time, and the speaker said: “Moscow is speaking. It’s 3 p.m. in the capital, 4 p.m. in Ashgabat… in Uzhno-Sakhalinsk – 11 p.m., in Petropavlovsk-Kamchatsky it’s midnight.” The phrase: “It’s midnight in Petropavlovsk-Kamchatsky” became a popular expression.